Are you a fan of Miyazaki & Studio Ghibli animation? Our Hinge team presented a short talk on CG storytelling on January 24th @ 6:30pm, at OMSI, followed by a screening of a new documentary on Miyazaki’s first CG project. In 2013, film director and animator Hayao Miyazaki suddenly announced his retirement at the age of 72. But he couldn’t shake his burning desire to create. 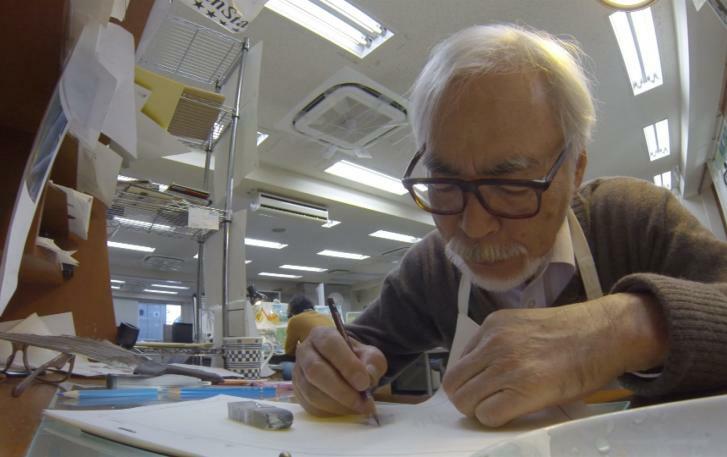 After an encounter with young CGI animators, Miyazaki embarked on a new endeavor, his first project ever to utilize CGI. But the artist, who had been adamant about hand-drawn animation, confronted many challenges. The film even faces the danger of being canceled. Can an old master who thinks he’s past his prime shine once again? This program goes behind the scenes over two years as Miyazaki overcomes struggles to create his short film using CGI. What do you think about it? Leave your comment!